4BR vacation home w/private heated pool/spa, 5 TV's, hi speed modem-VALUE! 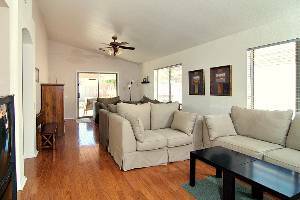 Four bedrooms, hi speed internet modem, private heated pool and spa, 5 TV's, close to lots of golf and 12 minutes from the airport. 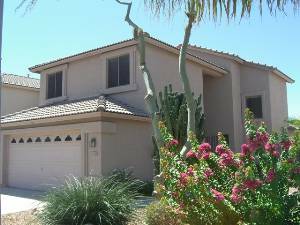 Enjoy all sunny Arizona has to offer in this 4 bedroom 2 ½ bath Phoenix vacation home. This two-story vacation property offers a spacious floor plan with 3 large bedrooms upstairs and the master bedroom on the main level. The lower level master bedroom is perfect for guests needing accommodations with no stairs. 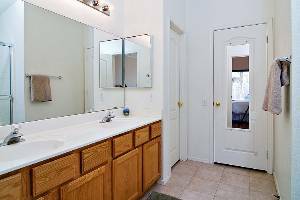 The entire lowerlevel features upgraded tile in the kitchen and hard wood floors throughout. 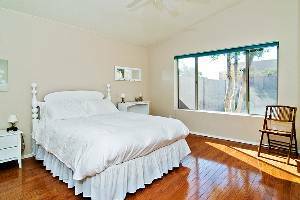 Upstairs you will enjoy upgraded Berber carpet as well as 3 spacious bedrooms. 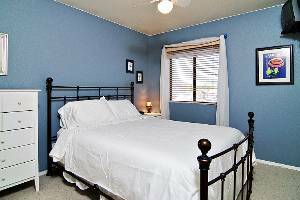 The bed set up is 3 queen beds and two twins as well as a queen sleeper sofa downstairs. 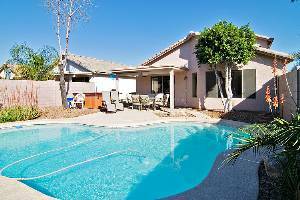 Outside you can lounge around in the private HEATED pool or lay out on the sun deck while you enjoy the warm Phoenix sun. 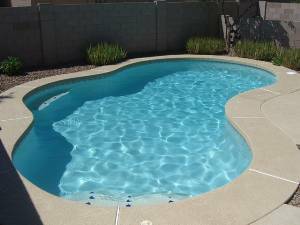 During the winter months, you can enjoy the cool evenings in the private hot tub next to the pool. The home sleeps 10 guests. The vacation rental is equipped with a wireless modem that can accommodate 2 wireless connections as well as one hard connection. There are also 4 TV's in the home for to enjoy. 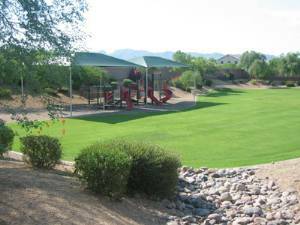 courses are nearby as well as two major shopping malls (Chandler Fashion Center and Arizona Mills Outlet Mall). Hike South Mountain or take a bike ride, the activities are endless. 4 Televisions and a computer with High Speed Internet!!! (NFL), and Arizona State University (NCAA). Daily rates apply to stays of less than a week. 5 night minimum w/Discounted rate Accept checks, Visa, Mastercard, Amex, Discover. 3.5% added to all credit card charges. Other Fees: 3.5% fee if using credit card.